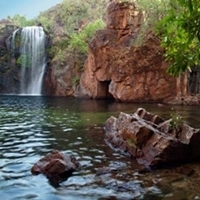 Positioned in Australia's top end, 100 kilometres south-west of Darwin in campervan hire Darwin, Litchfield National Park is spectacular all year round and boasts the best of the Australian outback. Explore Florence Falls, Tabletop Swamp, Greenant Creek, Wangi Falls and Walker Creek, soaking up the unique wonder of this truly incredible place. The Greater Daintree Rainforest has existed for more than 110 million years and is thought to be one of the oldest on earth. The National Park itself can be divided into three sections: The Daintree Rainforest, Mossman Gorge and Cape Tribulation. These are some of the most beautiful and unique places in Australia and offer incredible experiences that will remain in your memory forever. 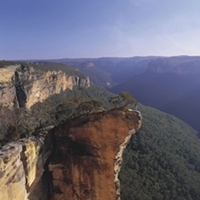 Visited by more than 3 million people each year, the Blue Mountains National Park rests just outside of Sydney and boasts some of Australia's most incredible mountain landscapes. This park is characterised by its chiselled sandstone outcrops and hazy blue forests, and offers several fantastic lookouts, all easily reached with campervan hire Sydney. Covering nearly 20,000 square kilometres of land, Kakadu National Park is a place of exceptional natural beauty, unforgettable landscapes and unique biodiversity. Mangrove-fringed coastal areas are uniquely contrasted with flood plains, lowland hills, sandstone escarpments and glorious forest habitats. The landscapes here are simply too beautiful to be described with words, making this a park that simply must be visited at least once in a lifetime. Freycinet National Park is a rugged and beautiful peninsula, jutting out of Tasmania's glorious east coast. The park is characterised by its impressive granite mountains, gorgeous bays and stunning white sand beaches, and is a fantastic destination for bird lovers. The highlight of the park is without a doubt, Wineglass Bay, with its spectacular white sands and pristine blue waters sure to please time and time again on your campervan hire Tasmania holiday. Regarded as one of the world's greatest National Parks, Kosciuszko covers 690,000 hectares and is home to the Australian mainland's tallest mountain and the famous Snowy River. The park comes to life during winter with avid skiers flocking to its ski resorts to experience the best slopes in Australia. This coastal National Park rests just 190 kilometres south of Melbourne and boasts incredibly rugged cliffs, hidden offshore islets, rock stacks, remarkable gorges and awe-inspiring blow holes. 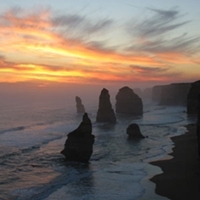 The highlight of the park is without a doubt, the Twelve Apostles, which are a unique collection of limestone stacks that are world-renowned with tourists. 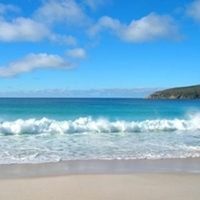 Positioned on the world's largest sand island, Fraser Island, Great Sandy National Park is characterised by its gorgeous long beaches, dramatic coloured-sand cliffs, rocky headlands and pristine freshwater lakes. This World Heritage area boasts incredible dune, lake and forest systems and is bursting with incredible, unsurpassed scenery and landscapes that will simply take your breath away. Located within the Tasmanian Wilderness World Heritage Area, Cradle Mountain-Lake St Clair National Park offers incredible landscapes. Contrasting ancient rainforests and beech forests with rugged mountains and glacier lakes, the untouched beauty of this park is something you will remember for many years. 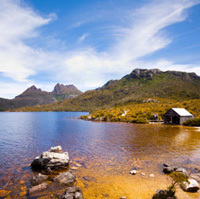 Cradle Mountain is the starting point of the world-famous Overland Track, which exposes hikers to some of the finest mountain scenery and terrain in the country. 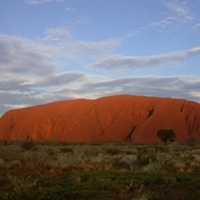 Home to Australia's most famous icon, Uluru, Kata Tjuta National Park is a one-of-a-kind park that will expose you to a rich Indigenous culture and way of life. Experience the incredible landscapes of the golden outback, marvelling at the dramatic colours, unique flora and fauna and unforgettable geology.